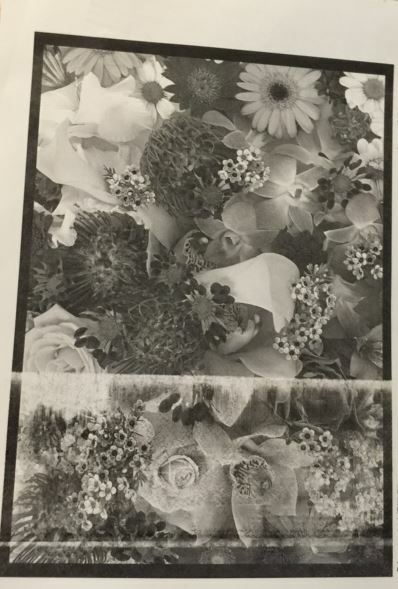 The printer is set to feed paper from both Tray 1 (top tray) and Tray 2 (bottom tray. We recommend swapping paper trays every time paper is restocked. Also be sure that BOTH trays are set to Letter size. Load only the 8.5” x 11” paper that is provided by into the trays. The most common errors are 381, 382, 391 and 392. 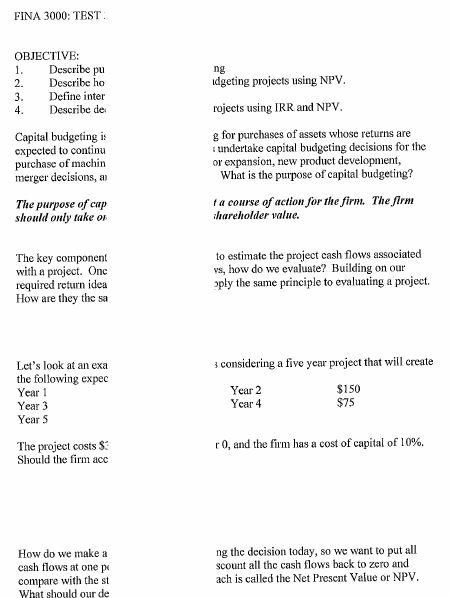 If a jam occurs, make sure all paper pieces are removed. If a jam occurs IN the fuser (with part of paper sticking out of both ends of the rollers), use the blue trigger on the right to release the pressure on the rollers before pulling out the paper. This prevents the paper from being ripped. For 391, 390, and 380 paper jams, open the front flap then pull up on the blue handle to open the front face (see picture below) to check for paper. Paper Jam error codes 383, 370, 371, 372, and 373 indicate to check the duplexer unit. The following link is how to check the Duplex Unit. The fuser is the most common cause for paper jams caused by over heating. 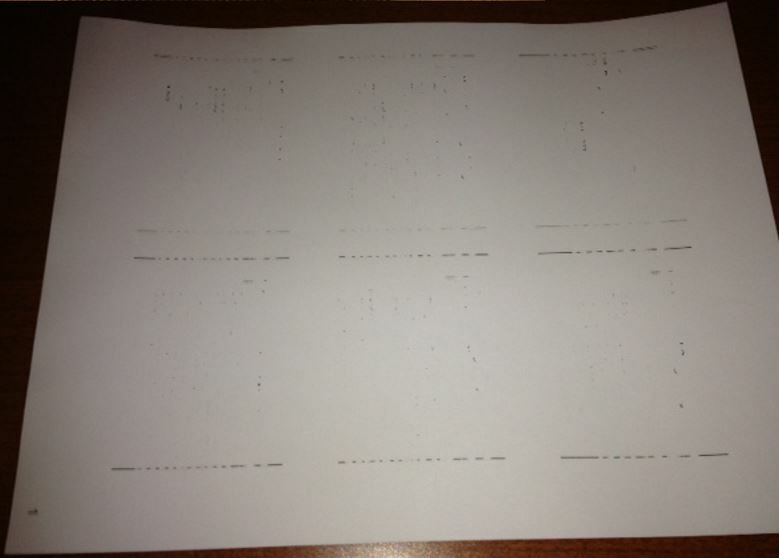 The 382 paper jam error code is the location of the fuser. A 928 fatal error may also occur which is specifically in regards to the fuser motor malfunction. To clear the 928 fatal error, power cycle / reboot the printer. If the 928 fatal error continues to occur, the fuser will most likely need to be replaced. Notify wēpa support (800.675.7639 / help@wepanow.com / Chat Below) prior to replacing fuser for confirmation of 928 fatal error frequency. 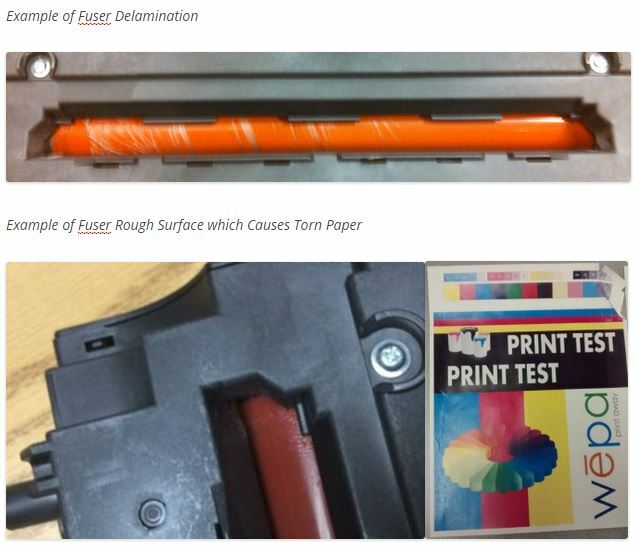 If the 382 paper jam occurs within a small time frame, remove the fuser and visually inspect the middle orange roller portion for delamination or a rough surface. The fuser middle orange portion should be smooth. 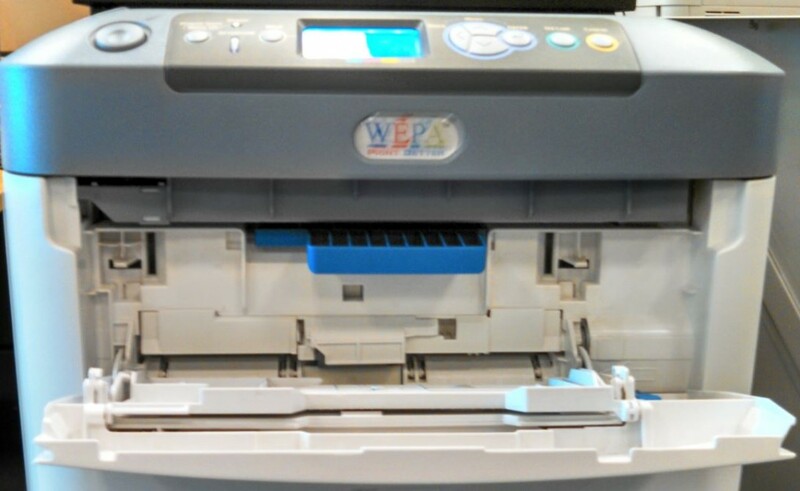 If there are any physical defects, replace the fuser and notify wēpa support (800.675.675.7639 / help@wepanow.com / Chat Below) on whether to discard or send back to wēpa. We will only request to send back if the fuser was above 80% prior to replacing. Important Note: Fuser may be extremely hot. ALWAYS use the top middle handle to remove fuser. 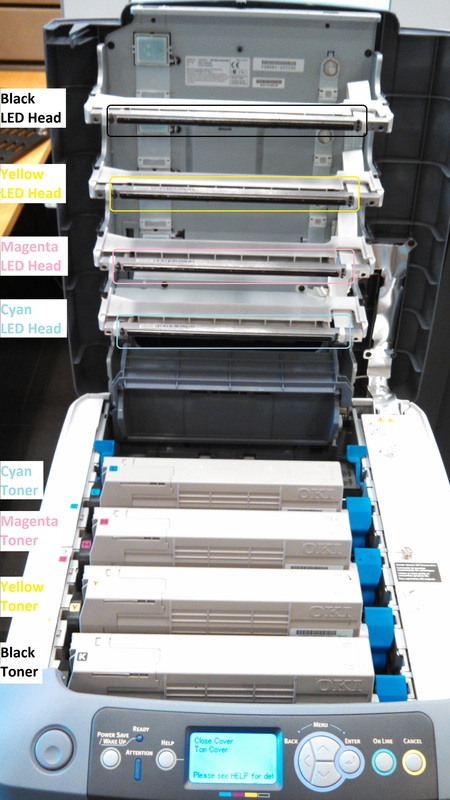 Each toner/drum unit has a corresponding LED head that is located underneath the top cover. 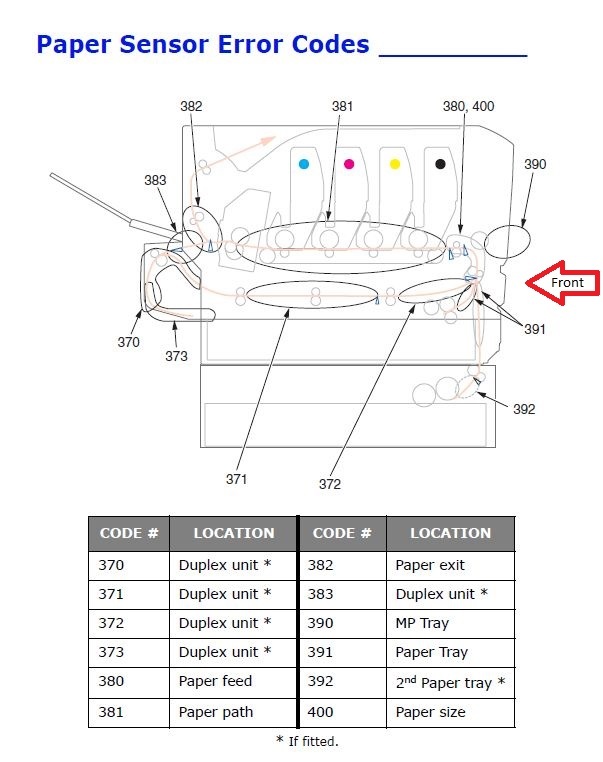 Below is a diagram with the LED heads labeled at the top and the toner/drum units at the bottom. 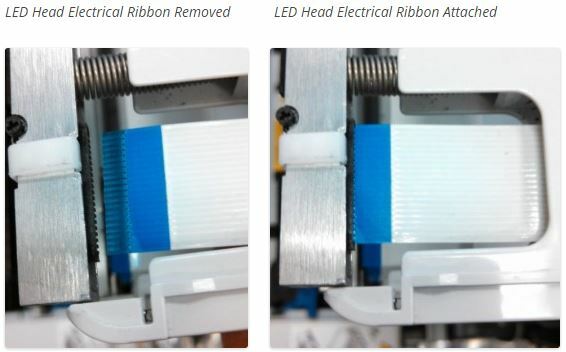 If after wiping down the LED heads and the print quality issues still occur, re-seating the LED head electrical ribbon may resolve the issue. The LED head electrical ribbons are located on the right side shown below. EXTREMELY IMPORTANT: Turn printer OFF before removing any of the LED head electrical ribbons. 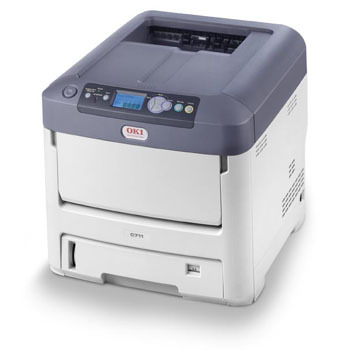 If printer is NOT OFF, the printer can be permanently damaged. 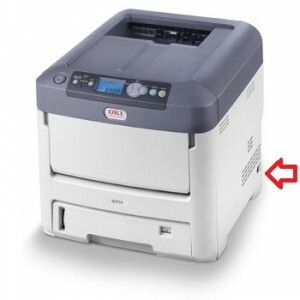 To turn OFF the printer, push the ON/OFF toggle switch on the right side of the printer. 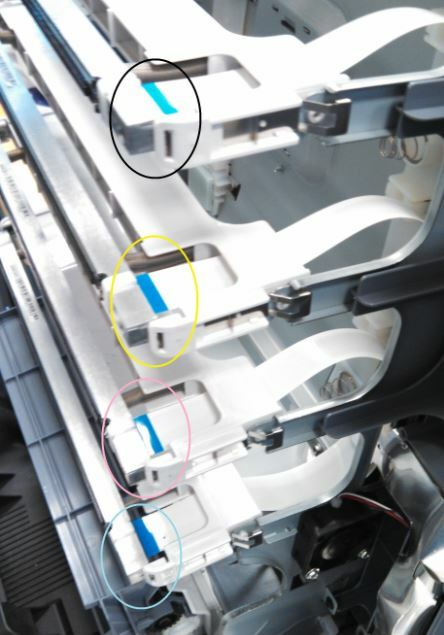 After turning off the printer, un-seed / remove each LED head electrical ribbon, then re-insert / attach. After confirming each LED head electrical ribbon is attached, turn the printer back ON using the toggle switch on the right side. If the print quality issues continue after cleaning and reseeding the LED heads, notify wēpa support (800.675.7639 / help@wepanow.com / Chat Below).